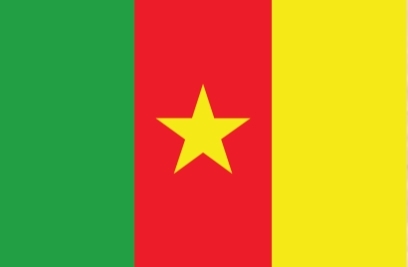 The Republic of Cameroon is a unitary republic of central and western Africa. It borders Nigeria to the west; Chad to the northeast; the Central African Republic to the east; and Equatorial Guinea, Gabon, and the Republic of the Congo to the south. 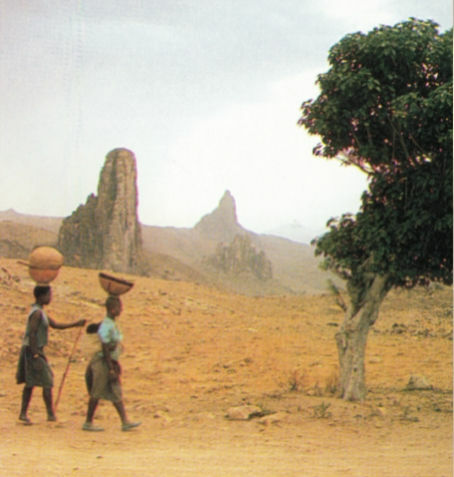 The country is called “Africa in miniature” for its geological and cultural diversity. 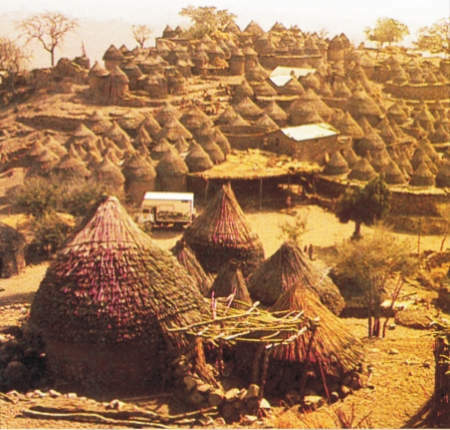 Cameroon is home to over 200 different ethnic and linguistic groups. On 1 January 1961, French Cameroon gained independence from France under President Ahmadou Ahidjo, and on 1 October 1960, the formerly-British Southern Cameroon's united with its neighbour to form the Federal Republic of Cameroon. 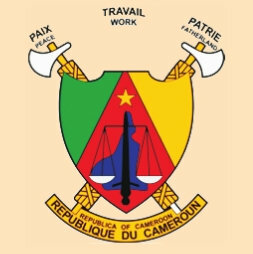 Cameroon's legal system is largely based on French civil law with common law influences. The educational system is a mixture of British and French precedents with most instruction in English or French. Cameroon has one of the highest school attendance rates in Africa. 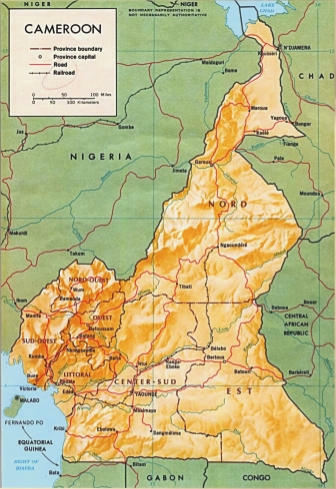 Cameroon is divided into 10 provinces, each headed by a residentially appointed governor. être, Un symbole ardent de foi et d'unité. l'amour et le grand honneur. we ever pay thy due? devotion, And deep endearment, for evermore. Rural Villages are home to about two-third of Cameroon's people. English and French are the official languages. Cameroonian Pidgin English is the most common lingua franca, A mixture of English, French, and Pidgin called “Camfranglais”. 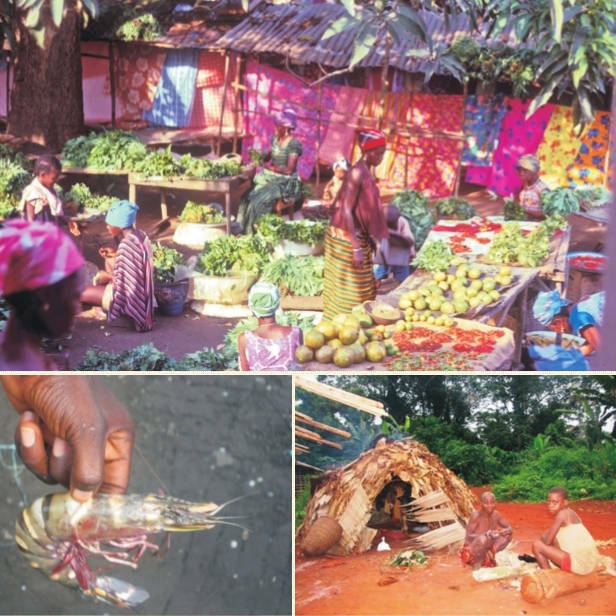 Portuguese explorers who arrived in the year 1400's, found huge schools of shrimplike animals, which they called camroes (shrimp) in the wouri River that portuguese word eventually led to the country's name Cameroon. The coastal plain has hot & humid climate which is densely forested and is the wettest places on the earth. south cameroon has wet & dry seasons and its temperature ranges from 22oc to 25oc with high rainfall. 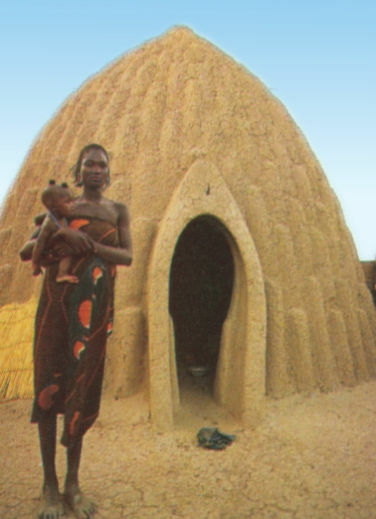 The Homes of the Musgum, are made of earth and grass. 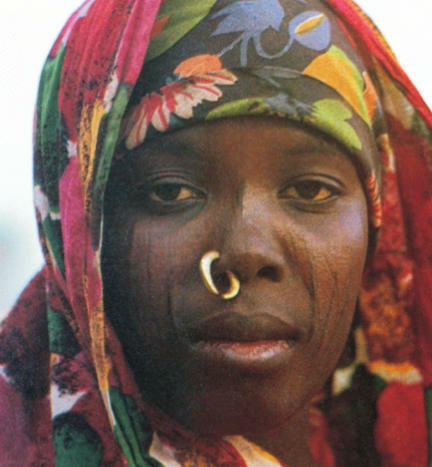 Each of Cameroon's ethnic groups has its own unique cultural forms. Music and dance are an integral part of Cameroonian ceremonies & festivals. Musical accompaniment may be as simple as clapping hands and stomping feet, but traditional instruments include bells worn by dancers, drums and, flutes. A typical dish is based on cocoyams, maize, manioc, millet, plantains, potatoes, rice, or yams, often pounded into dough-like (cous-cous). 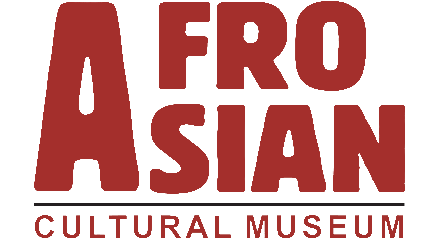 The country is well known for its native styles of music, particularly makossa and bikutsi, and for its successful national football team. Compared with other African countries, Cameroon enjoys political and social stability. This has permitted the development of agriculture, roads, railways, and large petroleum and timber industries.